On the evening of the 17th of November this year, the RSC will perform Redcrosse in Coventry Cathedral. Partly an original arts event, partly a groundbreaking religious service, Redcrosse evolves out of a project I led to evolve a new questing liturgy for England and St George. It was inspired by one of the great neglected epics of English literature and a very significant influence on Shakespeare, Edmund Spenser’s The Faerie Queene. 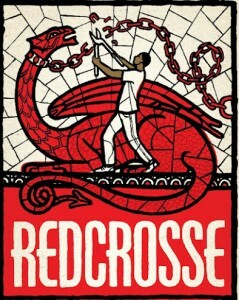 Redcrosse offers its new vision of England through brand-new poetry which I wrote with three major poets—former Poet Laureate Andrew Motion, the winner of the Costa Prize Jo Shapcott, and Michael Symmons Roberts—as well as the radical theologian Andrew Shanks. It features original music by Grammy-winning Tim Garland for trio Acoustic Triangle and the Choir of Royal Holloway, University of London. Spenser refashioned St. George for his own time into a symbol of the spiritual life as an unceasing and restless quest for holiness. We’ve written our liturgy in that same spirit, ‘still questing, always questing, and in that questing free, / still yearning, only yearning, for by that yearning we / may find that life beyond life, which is what it means to be’. It’s a liturgy for everyone—all spiritual seekers, anyone who’s seeking something better and seeking others who want the same. It ultimately celebrates England and St George in terms of our potential openness to each other and to truth. Redcrosse was premiered at two high-profile events at St George’s Chapel, Windsor, and Manchester Cathedral last year. It gained considerable media attention from radio, television and the national press. But the RSC performance in the modernist masterpiece that is Coventry Cathedral will be its most dramatic instantiation to date. And you can read about the forthcoming book of the project by clicking here. Ewan Fernie is Chair and Professor of Shakespeare Studies at the Shakespeare Institute, University of Birmingham. His books include critical and creative works and he is General Editor (with Simon Palfrey) of the provocative Shakespeare Now! series.